Explain this joke to me. 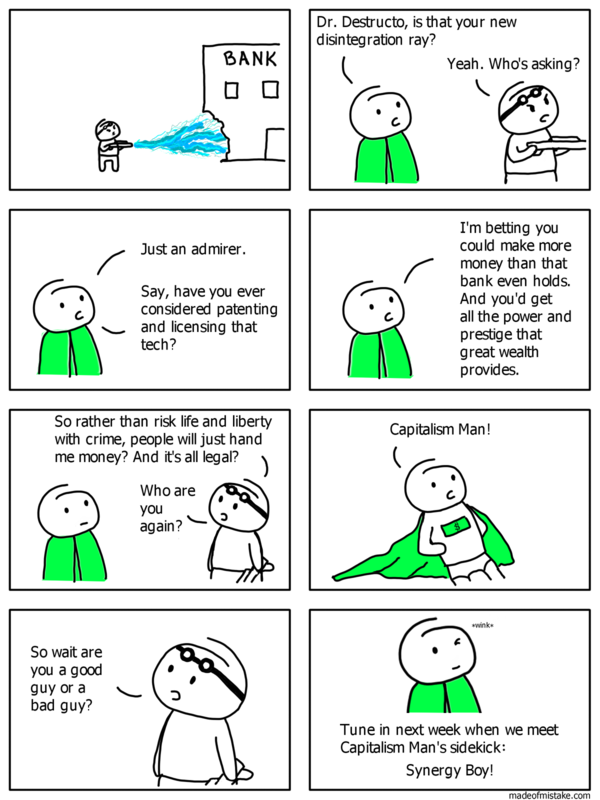 Capitalism Man has a nemesis called Free Market Man. I can never keep straight who is the good guy and who is the bad guy. Honestly even they can't decide which is which half the time.